Brush strip gives excellent protection against rat and mouse entry as well as a barrier to certain insects. Our brushes are made of high quality nylon and are available as standard 2 m lengths.The smallest standard size is a 22 mm brush up to the largest which is 150 mm brush. Larger or smaller brushes can be made to order. 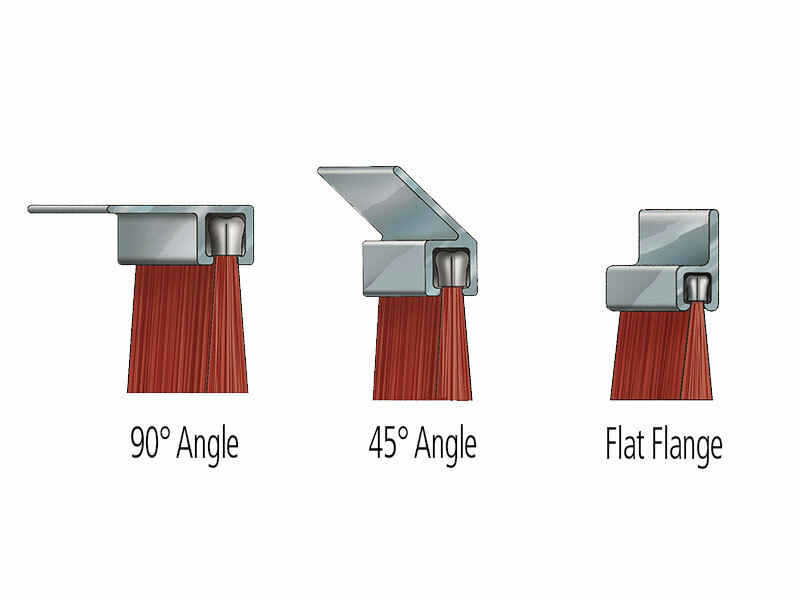 Use the chart below to select the right brush required. Aluminium carriers ensure strength and durability. Filaments looped around a core wire, securely encased within a formed channel. A range of filaments tailored to suit individual applications.